A hot issue….again…..this year: Immigration. 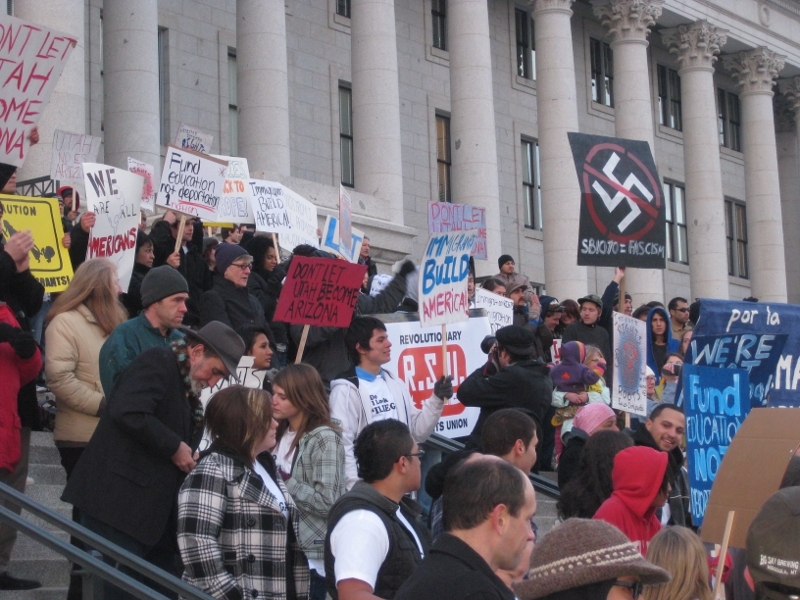 Don’t let Utah become Arizona!! Now is the time to stand up and fight back for immigrant rights. 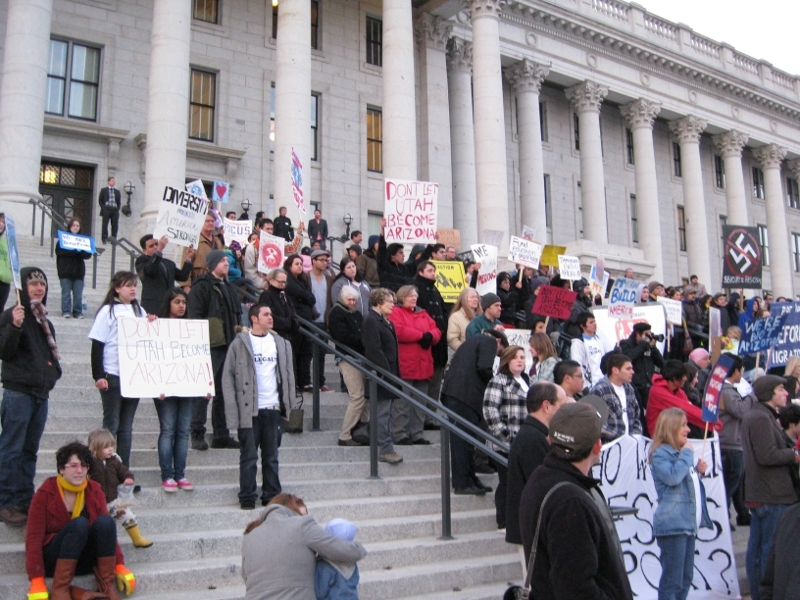 Sandstrom and others in the state government want to pass laws attacking immigrants this spring. Don’t let them break our families, churches, and friendships with raids, deportation, and fear. Indeed this was the passionate message on those steps today. 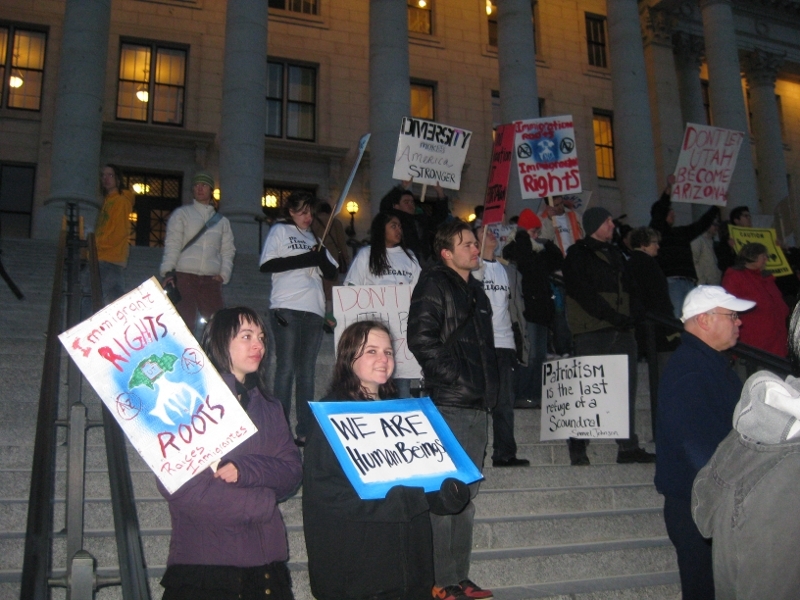 Posted on January 25, 2011 by dltPosted in UncategorizedTagged immigration, utah legislature.